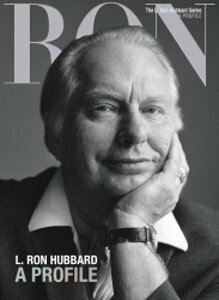 All told, L. Ron Hubbard’s works on Dianetics and Scientology comprise the largest cohesive statement on the human mind and spirit—more than 5,000 writings and 3,000 recorded lectures. Contained therein are answers to life’s most profound mysteries: the enigma of existence, the riddle of death, the realisation of states not even described in earlier literature. Also from these works come Scientology technologies to rear children, repair families, educate, organise and provide relief in times of illness or suffering.